524 S. West Temple St.
Our king room offers 1 king bed, this room will accommodate up to 2 people comfortably. Our queen room offers 2 queen beds, this room will accommodate up to 4 people comfortably. We offer pet rooms to our guests who want to bring their furry best friend to accompany them on their journey. The pet fee is $25.00 every 3 nights. 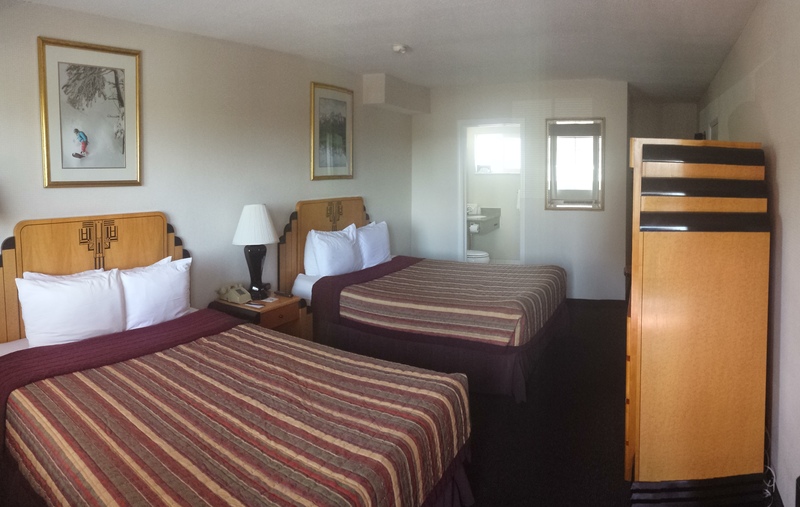 The Murphy Suite offers 2 queen beds, this room will accommodate 4 people comfortably. You will also be able to relax on the comfortable leather couch, a perfect spot to catch up on that book or magazine that you have been wanting to read. 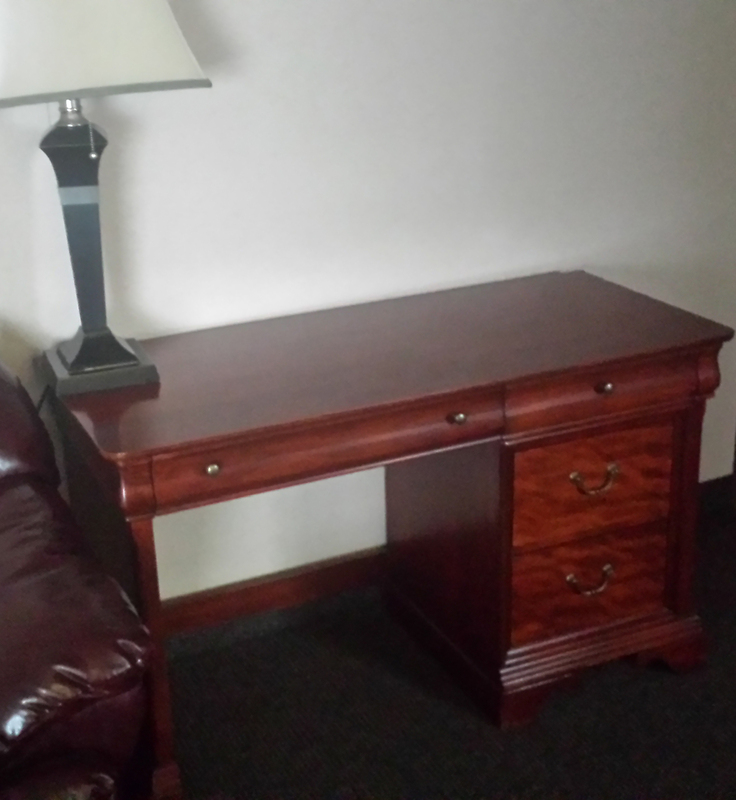 There is also a desk so you can work on your laptop, or get some paper work done for the office. Included in the suite will be a microwave and refrigerator enabling you to keep your drinks cold, and heat up some delicious snacks! Tempur-Pedic mattresses adapt to the curves of your body, supporting you evenly. Heavier areas, like your shoulders and hips, sink in further, while lighter areas sink in less. Even support allows for better alignment, so your body can more fully relax, and you experience deeper sleep.